Your aging dog might not be as endearingly silly or as sprightly as they were when they were young, but your love for them is stronger than ever. Senior dogs hold special places in our hearts, and it doesn’t matter whether you’ve had them since puppyhood or you recently adopted them from a shelter. Their years on this earth have earned them a special kind of intelligence that puppies simply can’t compete with. Here are the top nine lessons your senior dog knows that puppies haven’t figured out yet. 1. Destructive behavior is overrated. Sometimes it’s a shoe pilfered from an open closet, and other times it’s a couch cushion mistakenly deemed safe from a puppy’s destructive focus. The fact is, cleaning up messes and losing personal items is all part of owning a puppy. For a senior dog, the days of testing out their chompers on everything within reach are long gone. They’ve probably chewed up their fair share of random objects, but the novelty of sinking their teeth into something new has worn off. 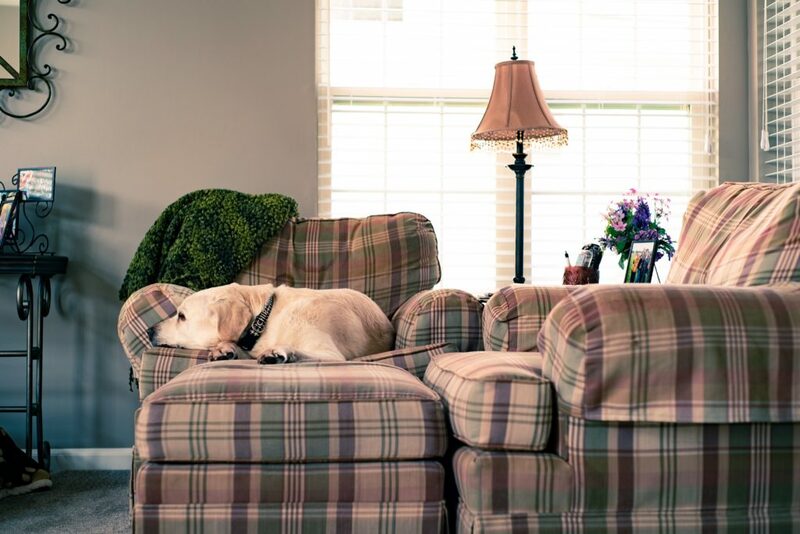 Your shoes are relatively safe in your senior dog’s presence, and there’s no need to worry about leaving them unsupervised or puppy-proofing every room. 2. Snuggling on the couch is even better than exercising. Puppies are so full of energy that even a long walk isn’t always enough to calm them down. They can’t keep still for long, and without regular exercise, they resort to their most mischievous adventures. Puppy owners need to be committed to going on walks, runs, and hikes. The sooner they beef up their tennis ball throwing arm, the better. All that puppy-related exercise is good for your health, but not everyone has time for taking multiple walks a day. If you’re not an active person, a puppy’s demand for exercise can be overwhelming. You don’t need to worry about that problem with a senior dog. 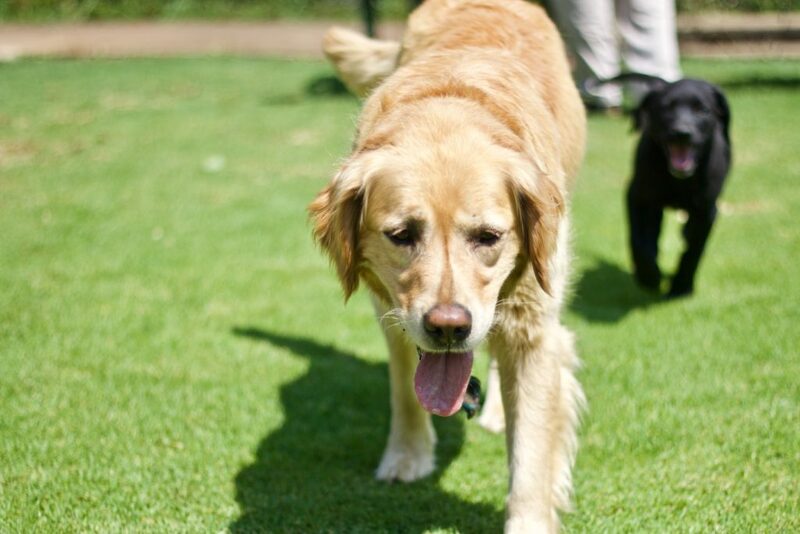 As dogs age, they slow down. They appreciate the finer things in life—like relaxing in the air conditioning. 3. Basic obedience is a breeze. After years of living with families or interacting with people at a shelter, your senior dog has long since mastered the art of good canine manners. They’ve been sitting and staying on command for so long, it’s second nature. They’ve graduated from basic training, and many have gone on to learn more advanced lessons. 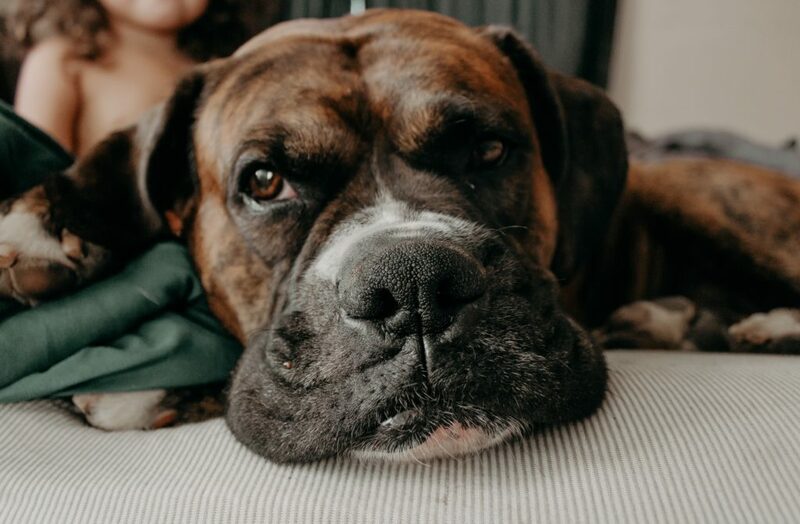 The struggles of house training are a thing of the past, and you don’t need to worry about behavioral problems related to innocent puppy ignorance. Many seniors adopted from shelters go into new homes with training already under their collars. And if you’ve trained your dog since they were a pup, you can finally sit back and enjoy their well-mannered company. 4. Sometimes a gentle touch is needed. Whether they weigh eight pounds or 80, young dogs don’t always understand the concept of being gentle. They jump on everyone who walks through the door and have no problems stepping on people to get to their favorite spot on the couch. They make quick movements and react with little warning, and rough behavior is something they love. Young dogs don’t understand that children aren’t as steady on their feet as adults, and grandparents can be seriously injured by an overeager pup. A senior dog’s life experiences coupled with their lower energy level means they understand horseplay isn’t always a good idea. They’re gentle with people and are less likely to accidentally hurt someone. 5. Sleeping in is the best. Once your dog reaches their golden years, you’ll start to remember what it feels like to stay in bed as long as you want. When they were a puppy, you had to get up multiple times a night to make sure their potty training stayed on schedule, and their early morning wake up calls were more reliable than your alarm clock. People with puppies wake up to whining, pawing, or barking, and there is no choice but to get out of bed. For owners of senior dogs, that’s all behind them. Dogs learn to hold their bladders through the night sometime during adulthood, and seniors no longer feel the urge to start their day at the crack of dawn. 6. There are few things better than a good snooze. Not only will your senior dog let you sleep in every morning, they’ll also be more than happy to join you for a daytime nap…or two or three. They’ve had their days of getting into trouble and begging for attention, and now it’s time for them to take a break. No one appreciates a good orthopedic dog bed or cozy couch quite like a senior dog. Puppies have a habit of fighting off naps until they literally can’t keep their eyes open, but seniors drift lazily into dreamland with no regrets. If you prefer a laid-back lifestyle, a senior dog will be happy to oblige. 7. Nothing is worth more than loyalty. While puppies are quick to wag their tails and show their bellies to everyone they meet, a senior dog’s life experiences have taught them that loyalty is earned. It doesn’t matter whether they’ve lived with the same family their entire life or have been passed between different homes and a shelter; they’ve learned that a good relationship with their favorite person is worth taking care of. They can tell when a person loves them, and when it feels right, they’ll forge a powerful bond. If you’ve captured the heart of a senior dog and know they stand faithfully by your side, you’ve proven yourself worthy of their love. Don’t take it for granted, a senior dog’s affection is a special thing to have. 8. Reading human emotion is like knowing a second language. All dogs are known for being perceptive, but seniors are especially good at reading human emotion. They’ve learned to recognize facial expressions and use environmental clues to decipher what their person is thinking. They don’t need to see tears on your cheeks to know when you’re sad, and they can tell when your mood shifts based on your body language. They’re so in sync with their owner’s emotions, it’s easy for them to analyze the situation and act accordingly. If you’re sad, don’t be surprised when your senior dog pulls themselves into your lap. And if you’re stressed, they always seem to know how to make you feel better. 9. All the best things in life can be found on a comfy couch with the people that love you. Peanut butter is delicious and belly rubs feel incredible, but your senior dog knows nothing beats having a family to call their own. Whether their life has been full of comfy beds and ear scratches or they had to go through the trials of life as a rescue dog, they know a good life when they see it. They’ve learned to appreciate all the effort their family puts toward making them feel comfortable, and they don’t take that love for granted. Their years of chasing balls at full speed and hiking up mountains may be over, but after all their life adventures, their happiest moments are with the ones they love.